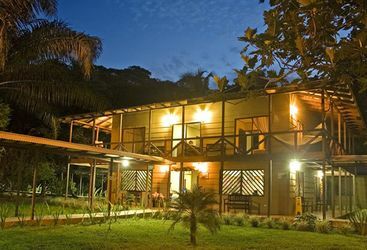 Tortuguero is one of the most visited National Parks in Costa Rica, dominated by tropical rainforest, swamps and lagoons and right on the Caribbean coast. 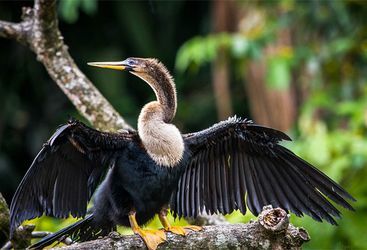 To see the best wildlife Tortuguero has to offer, either walk around the park or travel through the canals and lagoons by boat with a guide. But it's the turtles that draw the most visitors to the park, unsurprisingly, as Tortuguero in fact means turtle-catcher in Spanish. 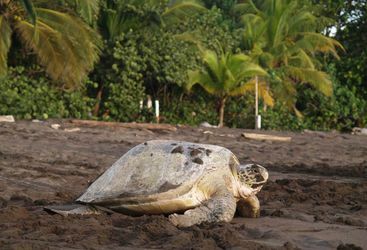 Rather than catching the turtles though, the attraction here is to visit the beaches of Tortuguero National Park at night with a guide and see female turtles creating nests and laying their eggs before scuttling back into the Caribbean Sea. This is such a rare sight that you can't visit this part of Costa Rica without witnessing it, so for more information, take a look below.